The elevator was quite crowded.I squeezed into the closed space, turned a bit and my weary eyes met the most adorable, shining eyes of a little girl tucked cozily in the corner. She bubbled with aliveness, proudly and exuberantly declaring when asked where she was going,"I'm in pre-school! "I cheerfully complimented her on the colorful beads around her neck, adding a word of connection to her older brother who was engrossed in a POKEMAN book. Behind me were two teenagers, a handsome boy and a pretty girl. I proclaimed how lucky I was to be surrounded by such beautiful people. The door opened and as I stepped out an adult man smilingly commented-"What office are you running for?" I was somewhat taken aback. While appreciating the humor in the remark I felt a sadness at the note of cynicism that lurked beneath the joking response. Are we so distrusting that any kind and complimentary word is immediately suspect? What has happened to our ability to accept the sincerity of another person and enjoy it? Why must we impose our defensiveness on the openness and natural good will of another well meaning individual? While I recognize the need for caution, why has it deteriorated into cynicism? Perhaps we all need a good dose of child-like gratefulness that I encountered in the sparkling eyes of that beautiful little girl in the elevator. I have little worry that we will lose our grasp on things; we will lose, thankfully, some of our sadness and fear. It was a rainy day in January; the rain poured down from the skies incessantly, drenching the air with a cold shudder. I sloshed along a side street in Queens and lifting my eyes from the slush below noticed a little old woman trying to cover her head with a plastic bag. She had no umbrella, and stood fully exposed to the harsh downpour. I walked passed her and a few steps away found myself returning in her direction. "Can I share my umbrella with you? " I asked. She began to explain in a thick Yiddish or Russian accent that she was waiting for the car service to pick her up after a doctor's appointment, and was afraid that if she didn't stand out on the sidewalk, the driver would miss her and she would remain stranded. We both stood under my tent-like Tanglewood umbrella for several minutes. The car arrived ,she thanked me and I was on my way. As I walked away, I reconnected for a moment with an extraordinary experience I had many years ago during which I was overcome with an all-encompassing desire to devote my time and energy to helping, to rescuing people who needed some assistance in getting by each day of their lives; boarding a bus, a few dollars for a light meal, being escorted to a particular location,receiving directions to a destination which escaped them because of the disorientation that often accompanies old age. This desire lasted only a few brief hours; it was the source of an incredible feeling of joy I had never experienced before. The desire disappeared gradually and all that was left was a memory, one which has since remained elusive and out of reach. I had often thought about those treasured few hours, of the euphoria of doing good for others. Today, the memory returned a little more clearly; I am grateful for those few minutes ; I am grateful that a simple item, an umbrella, could bring some goodness to another human soul. All we need, in fact, is to hold out our umbrellas over the heads of others and in that we touch their hearts and ours. Perhaps, this is another way that can lead to the casting of God's umbrella, the canopy of peace that we so desire, over the heads and lives of us all. My wife and I attended another service at the renewal synagogue called "Romemu" in NYC. Again it was heart opening and in Rabbi David Ingber's words, was the source of a Shabbat soul-shower. For me in particular, I am grateful that Rabbi David was able to wash away my aversion to the Torah parsha and leave behind a sense of renewed purity toward the sacred text. Let me explain. The day before, I had sat down to review the Torah reading as I do each Friday and felt a resistance, an unease in pursuing this exercise. Usually I look forward to studying the parsha, making use of a variety of commentaries hoping to discover deeper wells of meaning and wisdom in the Torah. Why did I have such difficulty with Va'Eyrah? The answer was obvious-the plagues. The parsha enumerates seven of the ten makot, the ten afflictions visited upon the Egyptians as a violent means of liberation. However necessary, I have trouble dealing with all the suffering and gore; I would have preferred a more gentle means of persuasion. Rabbi David focused on the early segment of the parsha, the theme of God's name and the newness of the Name for Moses and Israel at that critical moment of our experience. Essentially the parsha was saying that we are free to seek out new names of God for ourselves, at the same time honoring names by which God was known to our ancestors. This "Kavanah"-this intention embedded in the text, was very meaningful to me.For many years I have searched for a new name and I believe I have found it. It's really not new; everything about God is both old and new. What is new is my personal relationship to God's Name. 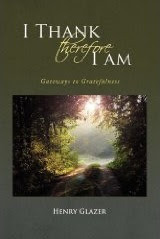 For me, above all names and signatures of God, God as Giver is my source of understanding and personal engagement. God as Giver-He opens His Hand and satisfies all living things with an open heart -is the bedrock of religion inviting all to be grateful for the gift of being and the gift of life. It is this awareness that has the power of blessing our lives with joy and peace.Thank you again, Rabbi David; thank you again, "Romemu." The topic of the Sabbath has been investigated and written about by some of the finest thinkers, scholars and rabbis of all time. Sabbath’s landscape has been mined down to its deepest strata of meaning. What can be added to the wealth of interpretation and significance already brought to light by so many others, especially in the Jewish community where the Sabbath first found its public expression? 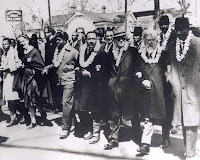 The Sages remind us, however, that "there are 70 faces to the Torah," that the Torah is an inexhaustible mine of knowledge, wisdom and inspiration. In the ongoing spiritual search for the meaning of the Sabbath, I would like to believe that perhaps I have stumbled upon a small yet shiny nugget not yet entirely polished to help its golden radiance glisten more brightly in the daylight of human awareness. In my humble opinion, this gem on the Sabbath’s tiara is that of gratefulness. 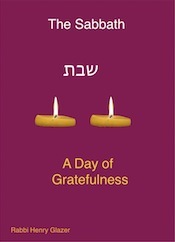 If Sabbath is anything, and of course it is many things, it is essentially a day of gratefulness by which we can more fully appreciate its qualities of delight, rest, serenity and sanctity. The Sabbath's purpose takes shape in our lives when we recognize our capacity to consecrate one day a week during which we can pay full attentiveness, in mind, body and heart, to the giftedness of life and the world, and by doing so succeed in converting time from a context of petition to one of praise, from a setting of dissatisfaction to one of gratefulness. 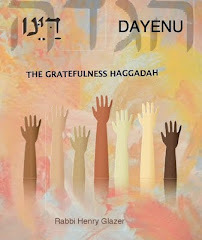 I would suggest that one word in particular could be interpreted in such a way as to embrace the essence of the Sabbath as a day of gratefulness. 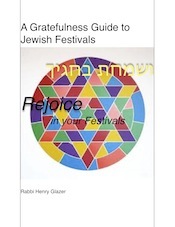 “Ahavah,” love, is comprised of 4 Hebrew letters: “Aleph”=1; “hay”=5;”vet”=2;”hay”=5.The middle letters constitute another Hebrew and Aramaic word, “Hav,” meaning give. These two letters likewise add up to a numerical value of 7. The first and final letters of this word constitute the sum of 6. Exercising one’s interpretive imagination, one can discover the core significance of the Sabbath in this word. The spiritual embodiment of the Sabbath, the seventh day of the week, resides at the heart of the word for love, a word that spells out “hav”, meaning give. The Sabbath is a day during which we acknowledge God’s love as a source of the gift of our lives. 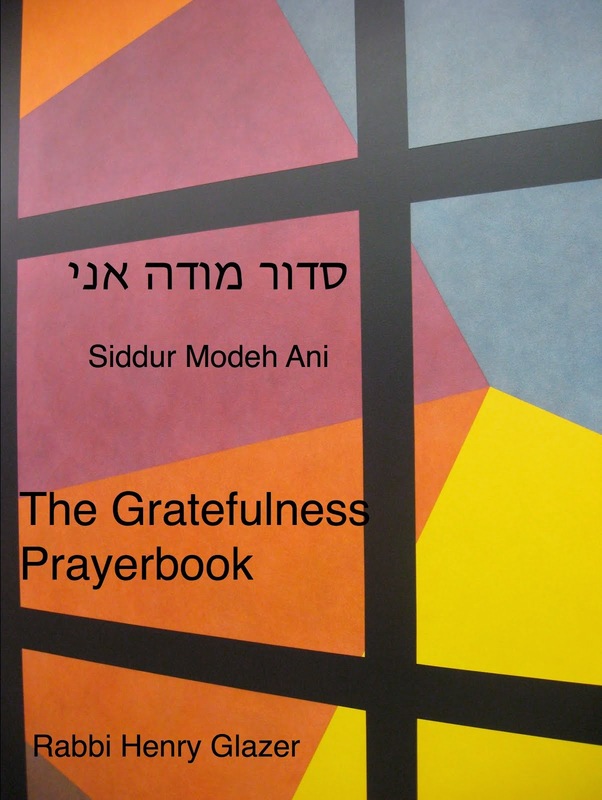 This recognition allows us to give back in the way of grateful prayer and praise. “The Sabbath is no time for personal anxiety or care…no time to remember sins, to confess, to repent or even pray for relief or anything we may need. It is a day of praise, not a day for petitions.” All has been given as a lover provides for his beloved’s needs. The world was created in six days-“aleph”=1 +”hay”=5, = 6.This was the act of God’s giving, which the Sabbath allows us to dwell upon internally and introspectively and celebrate ritually and liturgically for an entire day. Every component of this sacred 24-hour period is designed to enhance our awareness of life’s giftedness and blessing and to sensitize us to the reality of how grateful we could be so as to reap our greatest joy in being alive. When the Sabbath arrives, each week, seeing the day as a gift by which to heighten our gratefulness for life ,is a source of the greatest blessing. Last night my daughter and I saw the movie, "Marley and Me." We both love dogs, especially puppies that are labs or retrievers. We first had dinner together , which for me was a particular delight. I consider conversations with my daughter as both illuminating and heart-warming. As a social worker, she works with the mentally challenged and her dedication and sincerity to this kind of challenging work is inspiring. "Dogs are the most unique of animals in how they relate to human beings; unlike humans, whether your smart or dumb, rich or poor, tall or short, white or black, is entirely irrelevant. The dog deals with humans from the heart; she gives from the heart and receives from the heart. That is her gift to humans." In this very complicated and worrisome world, we have a great deal to learn from the many "Marleys" out there. If we do, perhaps this planet will become a more peaceful and joyful place for all. It is the civil New Year. For a major part of the planet’s population, today marks the beginning of a period of renewed hope and opportunity. I however,still think about Hannukah and its message of the miraculous. What a remarkable reminder for the days following Hannukah. Remember the miracles! Wonders are not reserved for special occasions only. Everyday is suffused with the miraculous, with the amazement of being alive and embracing the totality of being. So on this New Year’s Day I remind myself , “For the miracles,” and I praise. May the New Year be one of enhanced awareness of the miracles of being alive.